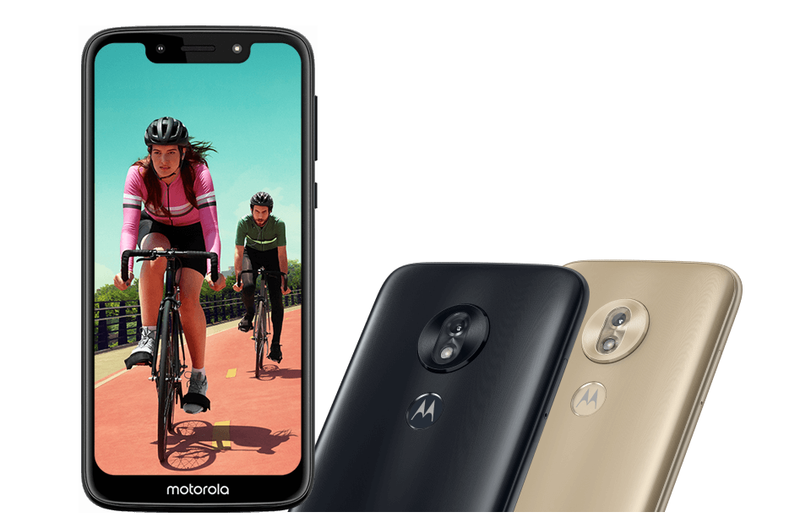 Motorola was in Brazil on February 7th to unveil the 2019 Moto G series that includes Moto G7, Moto G7 Plus, Moto G7 Power and the Moto G7 Play, our subject for this page. Over the years, the Play variant has always packed entry-level specs compared to the standard model, but things have changed. 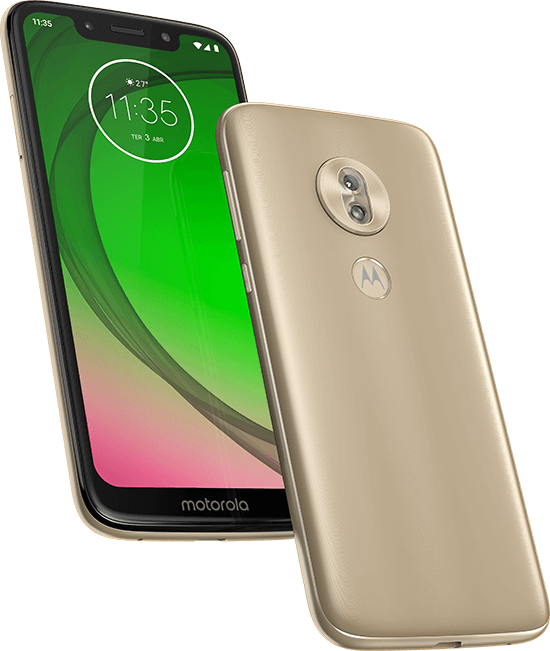 This year’s Play model has the same processor as the standard G7 and the Power variants, but Motorola had to cut a few corners to arrive at its affordable price tag. The Motorola Moto G7 Play is the lowest-end variant in the series and true to the specs and features it comes with, we are dealing with yet another great entry-level smartphone from a company that has been consistent in this segment for years now. The phone adopts a trending 19:9 design that accommodates a sizeable 5.7-inch notched screen in a fairly compact package, has a powerful Snapdragon 632 processor, and runs the latest Android OS out of the box, meaning Android Q is guaranteed. Check out a summary of the specs below. How is it different from Moto G7? Extras: Bluetooth 4.2, USB-C, 3.5mm audio jack, Rear-mounted FPS, Face unlock, 10W rapid charging, etc. Motorola Moto G7: Why buy it? Being the cheapest variant in the family, the G7 Play features a big, iPhone X-style notch as opposed to the waterdrop-style version on the standard G7, has a single 13MP camera on a plastic-made back panel, and a smaller (compared to G6 Play) 3000mAh that equals the size used in the G7. It seems some markets like the U.S. will get support for 10W rapid charging that pumps the maximum amount of charge possible by a non-fast charging brick while others like the UK will make do with standard charging. We aren’t sure what is at play here, but it seems some markets get a selfie LED flash to support the 8MP lens on the front, so let us know if yours has it or not. What is a small but much-needed design change is the switch to a USB-C port, but the fingerprint scanner keeps its place on the back. The 5.7-inch display screen is protected by Corning Gorilla Glass 3 and considering its just an HD panel, the battery life on the G7 Play should be excellent. Motorola’s Moto Display is on board, too. To keep it running smooth, the Lenovo-owned company opted for the new Snapdragon 632 chipset, but with price-conscious buyers the target market, it is allied to just 2GB of RAM. On the brighter side, the 32GB of internal storage available can be expanded via a microSD card of up to 512GB, which is not usual in this price range. The Moto G7 Play was unveiled in Brazil on February 7th and started selling in the country and Mexico as well on the very day, but it arrives in the U.S. and Canada in spring 2019. Those in Europe will get it in February 2019, although the UK-specific variant will begin selling in March. In terms of pricing, info on the G7 Play’s tag in markets outside the U.S and UK, among them Canada, India, and the rest of Europe and Asia, remains unknown, but not for long. We will update this post pretty soon when we get it. Whereas the standard Moto G7 is dressed in 3D glass, the Moto G7 Play is built from plastic. Depending on how you want to look at it, this plastic design could be a boon for some, especially since it’s one of the major reasons the G7 Play is the cheapest in the G7 series. It seems some markets like the U.S. will have a water-repellant body while others like the UK won’t unless this is just some error in the respective markets’ official specs sheets. The Moto G7 Play comes with a 5.7-inch HD+ display screen, way smaller than the 6.2-inch panel used on the standard G7. Furthermore, the FHD+ resolution on the latter means you are getting crispier pictures compared to the Play variant, but if it makes you feel any better, both screens are protected by the same Corning Gorilla Glass 3 technology. Both the Moto G7 and G7 Play have a notch on the display panel. However, the former has a more appealing, waterdrop-style notch while the latter’s is a bigger (and not so eye-catching) notch like the ones we saw back in 2017. This is the same design language found on the Moto G7 Power. The bigger notch houses an LED selfie flash for the U.S. market, but this feature is missing in the UK. Quite strange decisions here, Moto. The standard Moto G hoped onto the dual-lens camera wagon last year with the G6 and the Moto G7 isn’t relenting, however, this feature hasn’t made it to the Play variant. Instead, you still have to make do with a single-lens shooter on the back. Motorola says only the main shooter can record 1080p videos of up to 30fps. The entire Moto G7 series supports software-based facial recognition that makes use of the front camera. The Moto G7 Play also has this feature, but you’d rather stick to the tried and tested fingerprint scanner, which is located on the back. Still, it’s great to have some form of face unlocking mechanism on such an entry-level phone. At $200 (£149 in the UK), the Moto G7 Play definitely has plenty of competition to deal with. If anything, this is one of the most competitive smartphone segments, but looking at the specs and features on offer, the G7 Play stands a chance, especially in markets like the U.S. where Chinese companies that dominate the budget smartphone segment are not yet established. But in markets like India, some parts of Europe, and Asia, the G7 Play has some high tides to sail through. For a similar price, for instance, you can walk away with Xiaomi Mi A2 Lite that promises timely software updates on a monthly basis (and not twice or thrice a year like in the case of the G7 Play) and a clean Android One UI, a bigger battery, a dual-lens camera, and equally powerful hardware specs. Alternatively, the Asus ZenFone Max M2 should be a good option too, especially since it also comes with unadulterated software, a dual-lens camera and a bigger, 4000mAh battery. The newly launched Redmi Note 7 should also pose a huge threat to the Moto G7 Play, especially since it has a more powerful chipset to offer, a bigger battery, a bigger and crisper display, and boasts of a massive 48MP camera on the back. Other devices that may also stand in the way of the G7 Play include Redmi Note 6 Pro, Honor 8X, Honor 10 Lite, and so on. For fans of Motorola, the Moto G7 Play is a great midrange phone, especially if one is running on a budget. 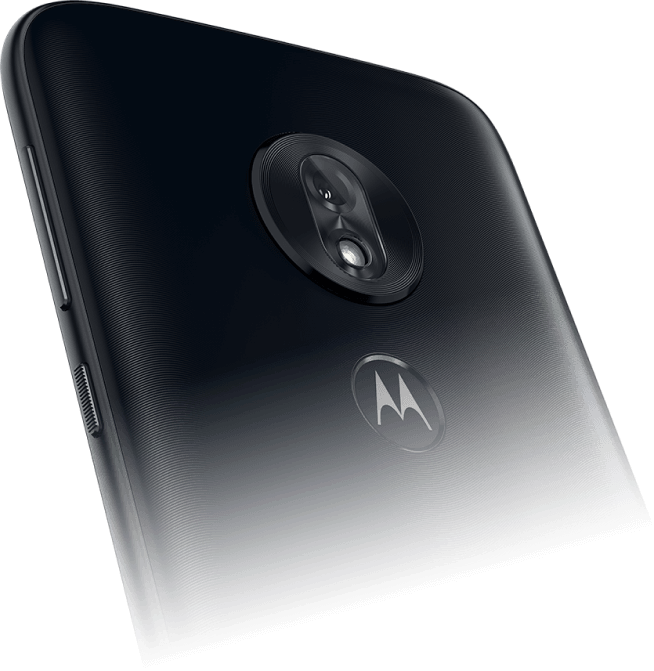 While there isn’t anything compelling about the G7 Play apart from the fact that it’s a really affordable Motorola-branded smartphone, it should still turn out to be a handy device for most people out there not looking to spend a fortune on a handheld.